Viking State Bank & Trust recently presented a $5000 gift to the Winneshiek Medical Center Foundation Annual Fund. The WMC Foundation has committed to raising $85,000 to support the next upgrade of the mammography machine to 3D imaging. Holly Kanengieter, coordinator of the WMC Foundation, says, "Giving is … helping build a strong local health care system. 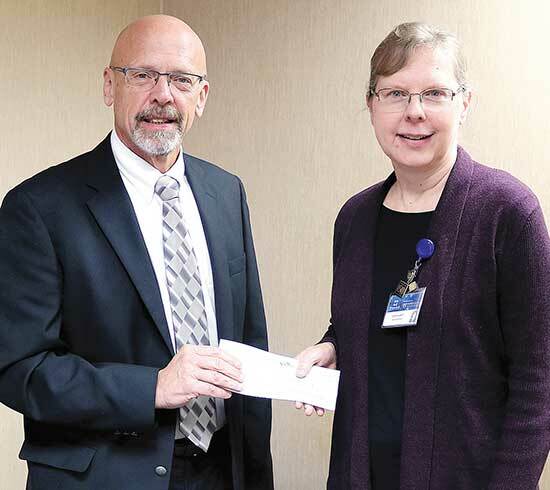 Thank you to Viking State Bank & Trust for their continued giving and support of Winneshiek Medical Center." Community giving is important to providing care to area residents. Gifts can be made online at winmedical.org/giving or by calling the WMC Foundation Office at 563-387-3129.